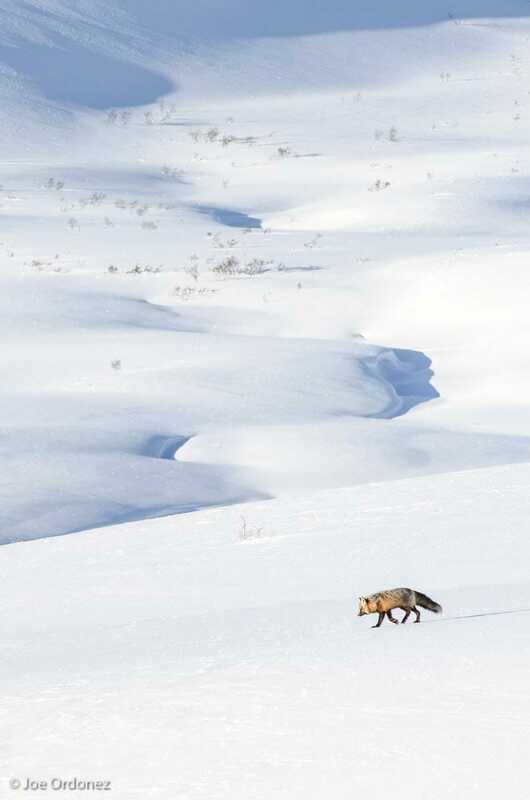 A lone fox wanders along the Chilkat Summit. This post has three sections, first I talk about our recent trip to Sitka at the start of my book tour. Second, I share a link to an article in Canada’s National Observer about the Constantine mine. I was recently interviewed and they published several of my photographs. Finally, I continue with my story of my first trip to Alaska in 1983. Our family book signing tour has begun and we started by boarding the ferry in Haines. Travel by ferry in Southeast Alaska can be quite pleasant. My life has changed since I first boarded that ferry to Alaska in 1983. Now, we are a family of 4; Edie, my wife and our two daughters, Stella, age 12, and Sapphire, age 4. Rather than sleep on the deck in the tent, we got a stateroom and headed off into the night towards Juneau. The ferry docked in Juneau at midnight, and we were in that state where we were half-asleep, half-awake. We could hear the announcements for the departing and boarding passengers, but it all seemed a bit like a dream. We woke up to a rainy morning and docked in Sitka. Sitka, while only a one-night ferry journey from Haines, feels like a different world. Haines has the wide Chilkat river cutting through its heart, Sitka points out towards the ocean. Waves break on rocky islands offshore, and the harbor is packed full of ocean-going fishing boats. Another big difference between the two towns is that Sitka relishes in its Russian heritage. Sitka was formerly the capital of Russian America. It’s hard to find any trace of Russian history in Haines, as the Russians were after sea otters, and Haines is too far from the deep ocean water and doesn’t support the kelp beds where sea otters live and frolic. The Sitka Conservation Society sponsored my presentation about the Chilkat Bald Eagle Preserve. An enthusiastic group showed up at the brand-new Sitka Public Library for my show. Even though there are some major differences between the two towns, we share the salmon that know no borders. Salmon are the great connectors. They connect salt water to fresh water. They connect people and places vast distances apart. They connect the ocean, the forest and the rivers. 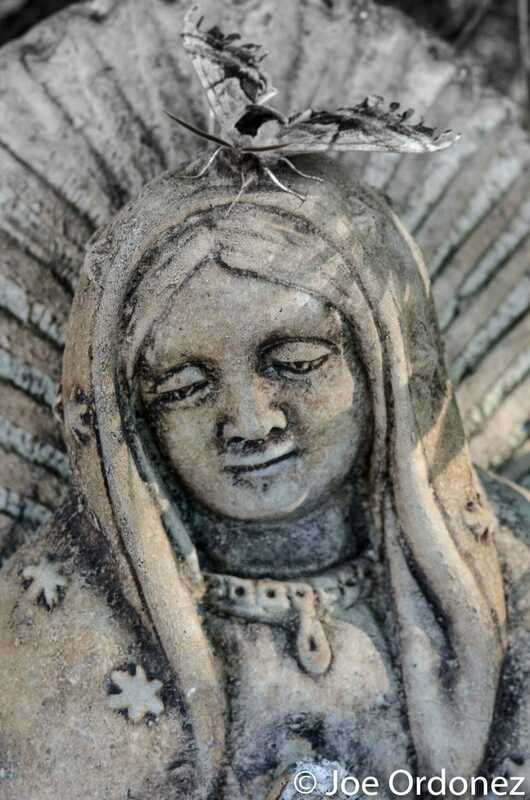 They connect the humans, Native and non-native alike, and the animals that depend on them for sustenance. Some of the salmon that spawn in Haines travel right in front of Sitka. So a threat to the salmon in Haines is a threat to Sitka. It is rewarding to give the same presentation over and over, as I hone my message about why the Chilkat Bald Eagle Preserve is unique and the waters upstream must be protected. I never use notes and that gives my presentations a fresh, spontaneous feel. I respond to the group and the group responds to me. I look for analogies and contrasts that the audience can relate to. For contrast with the Sitkans, I talked about our winter in Haines, how cold it gets and the ice that forms in the river. Because it’s so close to the open ocean, Sitka rarely gets snow. While our Mosquito Lake property in Haines was still covered in snow when we left just a few short days ago, daffodils were blooming all over Sitka. For similarities I talked about the salmon and the eagles, and how both know no boundaries and join us together. This time, I finished with a call for action. This included a chance to sign a letter to the Alaska Legislature. The letter asks the legislature to make it easy, rather than hard, for Alaskan rivers to attain Outstanding National Resource Waters Designation, also known as Tier 3 Designation. If the Chilkat River achieves Tier 3 status, it will be very unlikely that a mine will be able to pollute the waters that the Chilkat salmon and eagles depend on. Over 20 people signed the letter and we sent them on to Juneau. Here is the link for more information. One of my goals in writing Where Eagles Gather is to raise the issue of protection of the waters of the Chilkat River watershed beyon a local, “Haines jobs vs. Haines environment” issue to a national and international level. 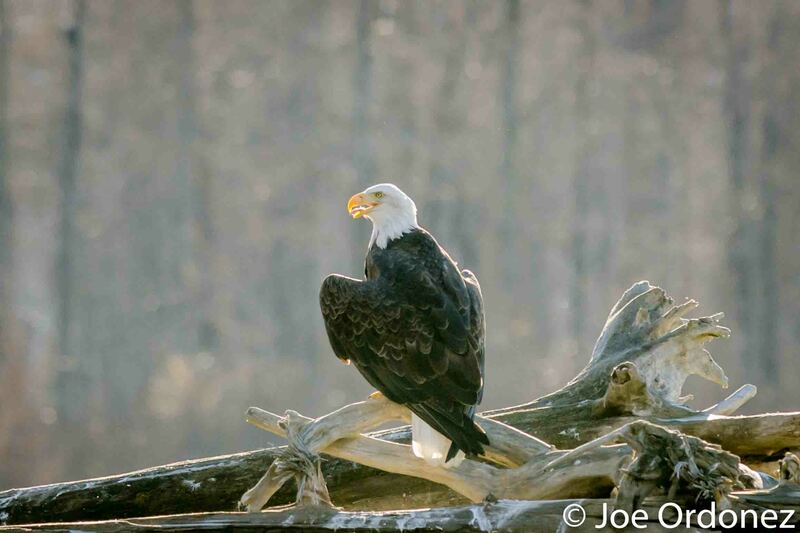 I want citizens all over the world to see how special the Eagle Preserve is and join together to protect one of the greatest natural wildlife gathering locations on the planet. He took me straight to the Eagle River and we stood in front of the rapids. They were class III rapids, nothing life-threatening; except that the water was ice-cold, I’d never run the river before, and I was unfamiliar with their equipment. I jumped in the raft and grabbed the oars and Carl pushed the boat off into the river. Even though I had quite a bit of rafting experience in college, it was all with paddleboats. With a paddle raft, the guide yells out the commands and the passengers power the boat through the water. Pulling on oars was a completely different animal. I hadn’t rowed an oar boat in a river before in my life! The current grabbed the boat and we started down the river. Right away, I had problems with the oars; they stuck out so much farther than the paddles I was used to. They kept hitting the rocks and getting pulled out of my hands. But I was determined to show Carl what I could do, and every time I dropped an oar I picked it up and pulled for my life. I hit practically every rock in the river, careened through the rapids, filled the boat with water, and then hit some slack water. Carl was soaked. He bailed out the boat, and I pulled the boat to shore. The trip went without a hitch and Carl guided the boat through the rapids with ease. We got in the car to go back to the guide house and Carl was quiet. I didn’t know what to say, so we rode back with a bit of unease in the air. We pulled up to the house and there was a white van parked in the driveway. I couldn’t believe it. Here it was my first day on the job and I was face-to-face with the owner of the company. With my performance on the river, I wasn’t sure what was going to happen. Carl and Bob went into a back room and began talking quietly. I wasn’t sure what the plan was for the next day and waited for someone to tell me what was going on. I couldn’t make out what they were saying and they talked for hours. It got later and later and still nothing happened so I looked for a place to fall asleep. I gave it some thought. After my performance on the river today, I realize that I need some more practice before I can guide clients down the river. I’m not sure if Carl is in the mood to train a new guide. He needs someone who can row right away. Besides, I’m in Alaska for the adventure. Backpacking guide in Denali? 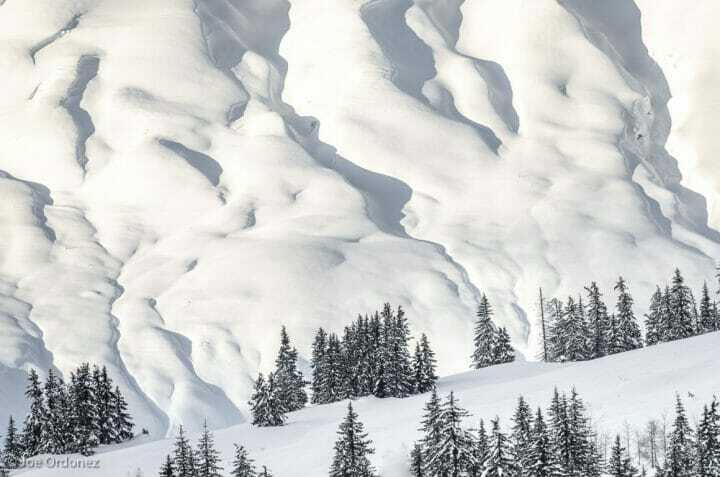 On the Chilkat Pass a deep and beautiful carpet of snow covers the landscape. This photo is taken just past the Canadian border as I climbed out of the forested valley where the trees begin to thin out. The seasons are changing. We spent spring break at our house at Mud Bay, seven miles south of Haines, where the crocuses are blooming. 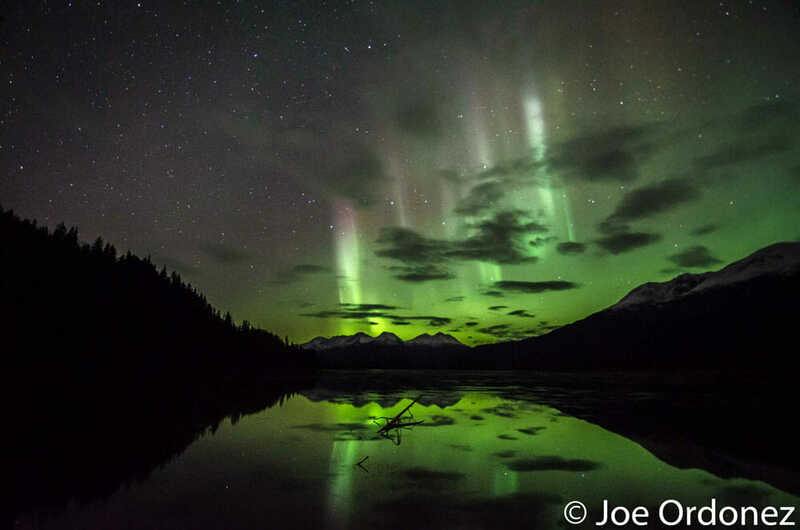 At Mosquito Lake, thirty miles north of Haines, the prelude to the spring symphony has begun. The lake is still frozen but the edges of the lake are thawing and the trumpeter swans have arrived. I can hear them honking, and some mornings the coyotes are howling while the grouse are thumping and the woodpeckers are drumming on the trees. We’ve been here the entire winter, from the fall eagle gathering through the shortest day of the year with six hours maximum daylight. Tomorrow, we head off to Sitka and Washington State for a little break before the tour season kicks off. I’ll give a slide show in Sitka on March 30th, then will give two slide shows in Washington State. The first one will be April 6th (Anacortes Library) and the second is on April 11th (Village Books in Bellingham). Then we will travel up the Alcan Highway to return to Haines. The epic two-thousand-mile drive will be my seventeenth time driving between Bellingham, WA and Haines, Alaska. I first drove the road in 1988 (more about that later!) In the early days, I would drive the entire distance in three days. Now, with our family of four, we plan to take a full week. This blog post has three sections. First, I pay tribute to local pioneer John Schnabel and share a few personal reflections. Next, I share a story about a scam that almost took me in last week. Then I continue with my story of how I first came to Alaska in 1983. John Schnabel recently passed away at 96 years old. After John retired from logging, he had a heart attack and the doctor told him to keep busy or he would die. He decided to get involved in mining and got a hold of a claim in the Porcupine area north of Haines. 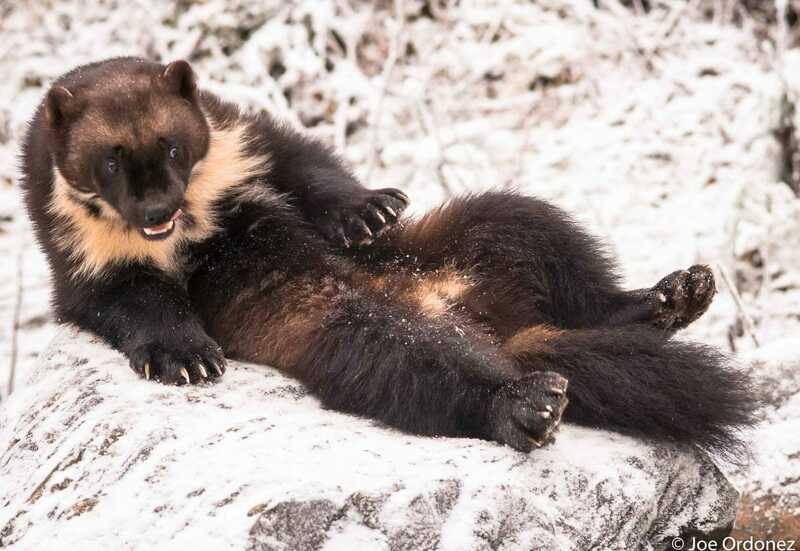 John not only hoped to strike it big with gold, he was a big promoter of tourism in the Porcupine area. The route to the claims was long and circuitous, a real axle breaker, and that was a big challenge for tourism. John used his own money to push a road along the Klehini River to reduce travel time. John gained fame as the “grandpa” in the Discovery TV Show Gold Rush. John and I worked together with his grandson Parker giving tours to the Big Nugget mine. Eventually Parker left for the Yukon and we left Big Nugget mine and started bringing visitors to Dakota Fred’s claim. Then Dakota Fred started mining in a location only accessibly by helicopters so we canceled the tours. But even after the tours ended, some die-hard Gold Rush fans wanted to come to Haines to see whatever they could of the Porcupine area. We would drive up there to see what was going on and then head back to town. With no promises, we would often stop by the Haines Assisted Living Facility to see if John was up for a visit. John was always gracious and took time to sit down with our guests. He never accepted payment for these visits. A few years back, I wrote a letter to the BLM (Bureau of Land Management) about a proposed road expansion up to the Constantine Mine. John was sitting with some of his associates and they started complaining about my letter. Instead of listening to them, John drove to my office. “Joe, how are you? I heard about a letter you wrote to BLM about the road expansion,” he said. “Can I read it?” he asked. I printed it, handed him a copy and he looked it over. He said, “There is nothing wrong with this letter,” shook my hand and left. More recently, my book Where Eagles Gather was published and there was a review in our local newspaper, the Chilkat Valley News. The newspaper article stressed that I was taking a stand against the Constantine mine. I got a call from John, and he said he had been trying to buy a copy of my book and that he wanted to talk about it. That’s the last conversation we had. Not long after, John left Haines to go to a care facility in California. We certainly didn’t agree on all issues, but we were able to work with each other and respected each other. I recently received an inquiry from a couple in Poland through VRBO (Vacation Rental By Owner) for our Swan View Cabin. I had an uncomfortable feeling about the booking. Right off the bat, instead of talking about why they were coming to Haines all the way from Poland and what they wanted to do, they talked about their concerns about credit card security. They wanted to pay me by check. I told them that it would be no problem. As soon as I received the check, I would notify them and the reservation would be secure. Then I received this email. I am sorry for all the delay in payment. There was a mix up in the payment sent to you ,I was supposed to receive two separate payment one for you and the other for our traveling expenses but the whole payment was issued on a single one check in your name and sent . I tried to correct this but it was in vain as i was ask to resolve the problem myself. It would have to go through a very long process to change this error. Please I don’t know what to do. I have been advised to contact you since this check was issued in your name , so you should be able to deposit the check into your account. As soon as you have the check deposited into your account you are to deduct your rent and transfer the balance to my agent or to us . Please do let me know how you can help on this issue. This felt a little strange but I figured if I received the check and cashed it then there would be nothing they could do. I could send them the money back and they would stay at the cabin for a week. It seemed like a “win/win” but it did feel a bit unusual. Then the check came via US Express Mail. Once again something was odd- the envelope was ripped and the rip went right through the signature on the cashier’s check. It did not go completely through the check. Thanks for the updated information . Here are the detailed instructions on how to remit the balance . I wrote them back and said that I was concerned about fraud. I told them if they wanted to book the cabin, they must send me a check for the exact amount or pay with their credit card. I was on my way to Alaska! I caught a ride down to the pier in Seattle and boarded the ferry. Someone told me to get there early and set up my tent on the upper deck, so that I would have my own space for the two-day ride to Alaska. I watched as the different people began to board. Most of the travelers were men and they were older than I was, late twenties, thirties and even some in their forties. They looked fit, confident and they had lots of facial hair. I could barely grow a beard at the time so I hadn’t even thought about trying. The boat pulled away from Seattle and I looked back on the big city. It was a sunny day and I got my bearings and walked around the ship. There was a deck below for vehicles, staterooms for those who could afford it, a restaurant, and a few lounge areas. I spent most of my time in the “solarium.” It was a semi-covered area where they had heat lamps on the ceiling to keep travelers from freezing. This was the area where I set up my tent, and others had set their tents up around me. Those without tents slept on the scattered lounge chairs or inflated their Thermarest pads and slept in their sleeping bags on the floor. Nighttime hit and I dozed off, happy to have my own space. In the morning, I had some granola and milk that I had brought. There was a strict rule; no stoves allowed on the deck, and I couldn’t afford to eat in the restaurant. The sun came up and it got warmer as the day went on, and pretty soon I was in my shorts and sandals. Someone had brought a climbing rope and the group informally formed two teams and competed in tug-of-war event and Limbo on the deck. This was fun! I felt a bit intimidated by all the hairy, bearded guys, and so stood off by myself looking over the rail at the water, the trees, and the sky. I noticed that someone was standing next to me, and looked over to see a tall, thin and clean-shaven guy looking right at me. “I like your feet,” he said. I didn’t quite know what to say. I hadn’t had any experience with that sort of encounter before. What did he mean? What was the appropriate response? I looked down at my feet. They are well-formed and the skin is smooth, I thought. No too hairy, and my toes aren’t all bent and weird like some people’s. And through my karate training I know how to use my feet to protect myself. I could use them on this guy, if I needed to. But Dave really didn’t seem like a threat. He seemed generally interested in me. So I told him a bit about myself. Dave smiled and still seemed interested so I continued. How nice, I thought. Are all Alaskans this friendly? Dave and I continued to talk on and off through the boat journey, and he waved goodbye to me as I stepped off the boat in Ketchikan. I thought, they are starting an adventure together. And I am starting this adventure alone. But I wasn’t scared or lonely; I was mildly excited. I walked along the waterfront and went to the fish processing plants. They all had the same type of hand-written sign on the door…..”No Help Needed.” I was too early, the fish weren’t running and there was no work. Since Ketchikan was the first stop in Alaska, part of me was glad that things didn’t work out for work. The State is huge, and there were lots of places that I wanted to see. I bought a book entitled Adventuring in Alaska, and read it cover to cover. All kinds of questions rose in my head. What is Denali like? What does the Pipeline look like? Where the heck is the Brooks Range? 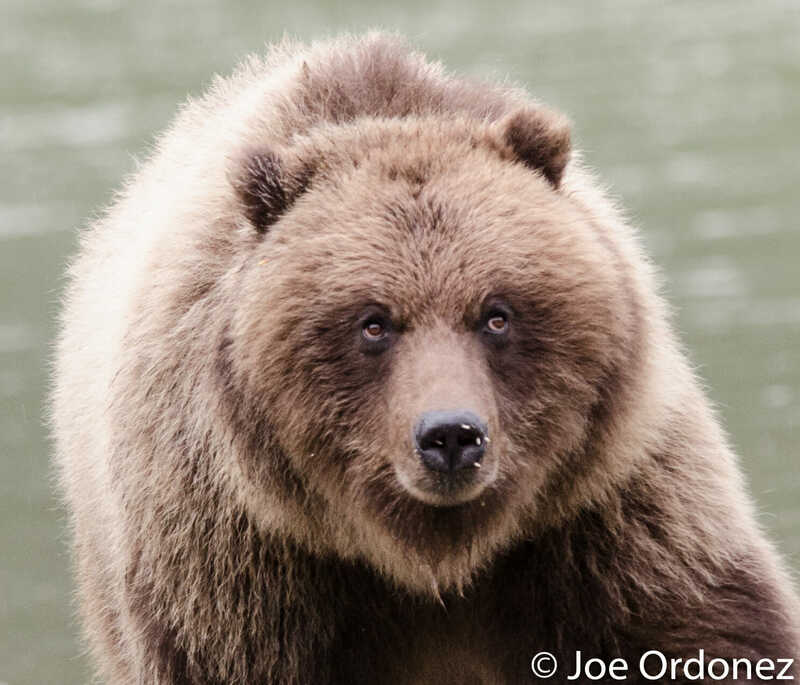 How big is a Kodiak grizzly? I went back to the ferry terminal and caught the next ferry to Juneau. At night we passed through the Wrangell Narrows, where the navigation lights blink red and green through a section called “Christmas Tree Lane.” Late the next morning, we arrived in Juneau and I donned my giant, green Kelty backpack and headed downtown. Dave walked me down the street and the sign was still there. I walked into the building and found the office with the name Alaska Travel Adventures on it. I opened the door and went in. There was an older looking guy sitting there (he must have been in his mid-thirties). His face was tired and he was going bald. He looked me up and down as I stood there with my huge Kelty backpack still on my back. I took off my pack, introduced myself and asked him if they still had the job available. “I’ve done plenty of rafting in college”, I said. “I ran the Outdoor Program my senior year. What is your safety record?” I asked. “We haven’t had any major problems. The tour is fairly new so we are just building up the market.” He asked me a few more questions that I had no problem answering. I walked out his office and couldn’t stop smiling. My second town in Alaska and I already have a job as a rafting guide! And they’re flying me to Anchorage! I fell asleep and in the morning caught a ride to the airport. There was a guy from Alaska Travel Adventures waiting for me. “How did you know it was me?” I asked. “They told me to look for the guy with the huge green Kelty backpack on his back.” He handed me my ticket and told me that someone would pick me up once I got to Anchorage. I had a window seat. The plane climbed up and over the clouds and after an hour in the air the clouds opened up and I could see all the way to the ground. But everything looked strange to me. I couldn’t figure out what I was looking at. I asked the guy next to me what it was. “Oh, those are glaciers and those are icebergs floating in the ocean. We’re flying over Prince William Sound right now.” I looked down on the huge glaciers and mountains below and tried to gain some perspective. But it was too big. I dozed off and woke up when we touched down in Anchorage. 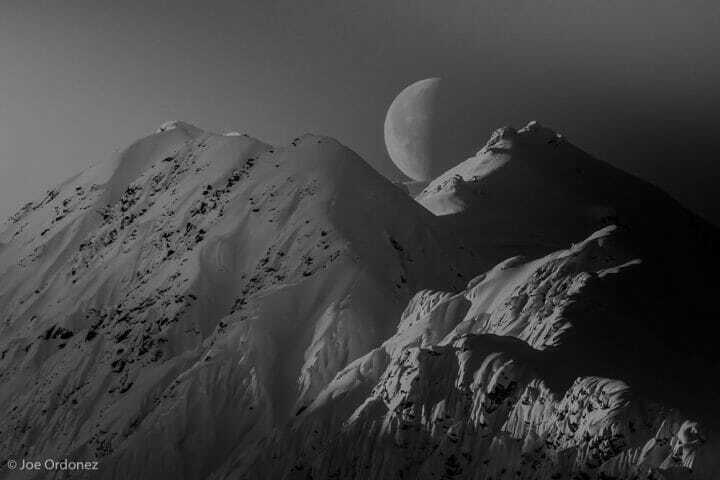 Response has been very positive for my photograph, Moon Over Klehini. I had this image blown up to 20 inches by 30 inches and printed on canvas and it looks fantastic! Canvas prints are great in that they require no additional framing and are ready to hang on your wall. For a limited time, I can offer Free Shipping in the United States for these 20″x30″ canvas prints. Price is $300 including shipping. 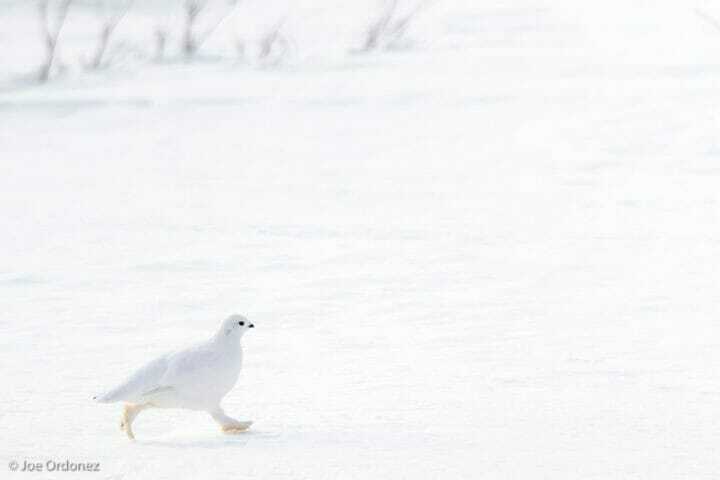 Ptarmigan have some amazing winter adaptations. The most obvious one is that they change color in the winter so that they can blend in with the snow and ice. Lesser known is the fact that their feet change. In fall the scales on their feet give way to bristly projections that host foot feathers. These feathers serve as snowshoes and insulating boots at the same time! This blog posting has two sections. I report on the recent meeting concerning the Chilkat River’s nomination for Outstanding National Resource Water status and my “letter to the editor”. The potential impact of the Constantine Mine is now in the local Haines news. While researching for my book, Where Eagles Gather, I learned about some of the meetings in Haines back in the 70’s and 80’s when the Eagle Preserve was being proposed. Those were acrimonious times and I read the story of a fistfight that broke out in front of the Harbor Bar because someone didn’t like the “greenies.” Then there was the meeting where State officials were threatened and had to leave town before they could discuss the issue at hand. So when it was announced that there would be a meeting with Alaska Department of Environmental Conservation Water Commissioner Michelle Hale to discuss the recent nomination of the Chilkat River for Tier 3, or Outstanding National Resource Water status, I had to be there. Had things changed in the last thirty years? The meeting room was packed. At the start of the meeting, Michelle acknowledged that this is an emotion-charged issue, and requested this be an informational meeting rather than an opportunity to get on one’s soapbox to argue for or against Tier 3 status. She showed the first slide; hit the clicker and a guy in the third row belted out angrily. She apologized, went back one slide, made sure everyone had a chance to read it, and moved on. Following her Power Point presentation, Michelle hosted a question-and-answer session that went on for well over an hour. There was hostile questioning, interruptions and loud complaints but she did her best to keep control. More than once, she answered a question and the same question was asked again a few minutes later by someone else. But she kept her cool and kept the crowd under control. She noted that there was obviously some misinformation being passed around that had led to confusion. One of the main fears expressed by members of the audience was their worry that they would not be allowed to use their 2-stroke engines in the Chilkat River. Michelle patiently explained that even though 2-stroke engines do pollute the river, their use would not be banned. Tier 3-designation primarily had to do with “point source” discharges that degrade the water quality, like discharge pipes from a large mine. Part of the problem was that many in the group wanted to argue the merits of Tier 3 Designation for the Chilkat. Michelle had to repeat that the meeting was not about the merits of the Chilkat River, but about the process by which a river gets Tier 3 designation. By the waning minutes of the meeting, Michelle was clearly exhausted. She said that she really needed to sit down. A river would be more likely considered for Tier 3 Status if it was “exceptional, important, unique, or sensitive ecologically…” This was good news to me, the Alaska Chilkat Bald Eagle Preserve clearly meets those criteria and my book provides some good arguments for Tier 3 Status. A mine like the Constantine would be required to post a bond to cover potential mitigation for damage caused even after they ceased operation. However, the bond amount would not cover catastrophic damage from a tailings dam failure. Recently, the tailings dam of the Mt. Polly mine in British Columbia failed, resulting in toxins flowing downstream. The images of salmon with their skin peeling off their bodies turned my stomach when I first saw them and I still wince when I look at them. Spring comes in spurts here in the Chilkat Valley. The lake in front of our house has been frozen for months and covered with snow. But with a recent warming trend and some rain, a beautiful blue pool formed on part of the lake. Then it got cold again and the blue pool transformed into perfectly smooth ice- a natural ice skating rink. After a few cold days, I figured it was safe to go out on the lake and try to ice skate. But it’s not a simple matter of driving up to the ice skating rink and going skating. First I had to put my ice skates in my backpack and navigate down the hill in front of our house to the lake. It’s steep and icy with patches of snow and lots of brush. There are some stairs but last time I used them I slipped on an icy step, scraped my arm and tweaked my back. Once I reached the lake, my skis were waiting for me in the snow and I had to ski across the lake to the icy patch. Along the way, there were some sections of thin ice and even some spots where there is open water. I had to tap the ice with my ski poles and listen for the sound. A hollow sound means thin ice. Once I got to the blue “skating rink” I had to take off my skis and put on my skates. I was a bit distracted by the cracking sounds the ice was making as I skated along, but the ice seemed solid enough. I figured this was likely my last time ice skating this season, so I better enjoy it. I smiled and an old Paul Simon song popped up in my mind; ”Slip, sliding away. The nearer your destination the more you’re slip, sliding away.” Whatever I do, there is always a song in my head. I’ve always loved music. At 9 years old, with my brothers and sisters, I danced the Mashed Potato Popcorn and the Camel Walk as we listened to James Brown. On my first visit to Guatemala I fell in love with the marimba music while visiting my “tias” and feasting on black beans and fresh, hand-made tortillas. I loved music so much that I learned to play trombone and in high school I’d eagerly leave the house each morning at 6:30am for jazz band practice. In college, I started out as a music and art major. One of the reasons I chose Western Washington University was because it had a degree program in jazz music. I spent endless hours every day in a small and stuffy practice room playing scales and arpeggios on my trombone. At first I loved it but after the first year I began to feel unhappy. I knew something needed to change. Music studies seemed too distant from the real world. I wanted to be outside, and I wanted to be with people. So I changed my major to Environmental Education, and found a path that suited me. I took a marine biology class where we went out with flashlights and rubber boots in the middle of the night at low tide digging in the mud for marine worms. For my botany class final exam we had to identify on sight every plant on the Sehome Hill Arboretum above campus. I studied geomorphology, ornithology and human ecology. I was in love with learning and didn’t want college to end. But I was scheduled to graduate in June and had to transition to the “real world” and find a job. My final semester in college, I signed up for a seminar class called “Alaska Environmental Issues.” I didn’t know much about Alaska, but the class sounded interesting. Most of the other students in the class had already been to Alaska. They shared their slides and stories from the Far North and I was intrigued. Each of us was required to prepare a project concerning an environmental topic relating to Alaska. The professor gave us a list of suggestions. One topic caught my attention right away….Logging in the Tongass. I had no idea where or what the Tongass was, but I liked the sound of the word: Tongass. The word rolled off my tongue. It felt like a gateway to an exotic adventure. I started to research and was surprised to learn that the Tongass is the largest National Forest in the United States, about the size of Connecticut. It is located in Southeast Alaska and stretches from Ketchikan to north of Glacier Bay. The Tongass Forest is part of the Pacific Northwest Rainforest Ecosystem. The combination of plentiful rainfall and a mild climate helps trees like western red cedar, Sitka spruce and western hemlock grow into giants. Glaciers, lakes, and saltwater inlets bisect these forests. The area is a haven for threatened and endangered species like humpback whales, grizzly bears and bald eagles. It seemed like a paradise. But the more I studied the more I learned that there was trouble in paradise. Giant stands of old-growth trees were being clear-cut at an unsustainable rate. Most of the trees being cut were shipped off to the Japan or turned into pulp. To make it worse, US taxpayers were losing money on the deal. And yet the US Government continued to mandate that a huge quota of trees be cut each year. My college major, environmental education involved teaching others about how the world fits together and how delicately the balance maintained. I didn’t have to go very far to see what happens when the threads are broken and the balance is lost. All I had to do was put my head out the window and smell the air. Phew! The downtown area of Bellingham Washington was permeated with noxious fumes from the local pulp mill. In addition to ecology, I was learning about history and how history repeats itself. Not too long ago, huge cedar trees covered the Bellingham hillsides and the streams and rivers were choked with salmon. But the giant trees had all been cut, the salmon had largely disappeared, and now the simple act of breathing could make you sick. Bellingham and the Pacific Northwest were once thought of as an endless frontier. That frontier had been tamed and the line had moved north. Alaska was the now considered the “last frontier” and the Tongass was now at the front line. My assignment was to come up with a project to teach the others about what was going on in the Tongass. Since I loved music, and I knew that music could be a powerful means of communication, I decided to write and perform a song. So I got out my guitar, my flute and a piece of paper and let the creative juices flow. On the last day of class, each student had to present their project. I sat through a few hours of talks, paper presentations, and slide shows. One of the students in the class was named Mark. He had a friendly face, a Fu-Man-Chu style mustache and an easy-going demeanor. His project was about sustainable fisheries management. He paid for his college by working in a frozen fish plant on the Kenai Peninsula and had worked his way up to management. He finished his presentation and I was scheduled to go next. I invited my friend and fellow musician Clive Pohl, into the class. Clive had curly red hair and a red goatee, and looked older than his years. His forehead was a highway of deeply etched lines, maybe from all the expressions he made when he played guitar solos. Clive, sporting a faded, tie-died T-shirt and blue jeans, strode in with his beat-up guitar case and sat next to me. When it was our turn, Clive opened up his beat-up case and brought out an equally beat-up guitar, and we started to play. I was excited to be heading to Alaska and proud that I was in the bus driver training program. Then my life changed. I crashed the bus and it was too late to line up another job. I began to think about Mark and his work up at that frozen fish plant up in Alaska. But how could I find him? About a week later, I had two college graduation ceremonies in one day. The first one was from Western Washington University. The second one was from the Huxley College of Environmental Studies. It was a low-key outdoor affair. As I got in line to pick up my diploma, I realized that luck was on my side. Mark was right in front of me in line and smiled as I walked up! “Oh yeah, you told me you were the first guy in the training program, right? Where will you be driving?“ he asked. We picked up our diplomas and shook the hand of the president of the College and got in line for the potluck. Mark and I were talking when my three Guatemalan aunts, Dora, Livia and Elsa, walked up. These three aunts had been there for my great life events- First Communion, my high school graduation, and now they had traveled all the way from Guatemala for my college graduation. They each gave me a warm abrazo (hug) and a kiss. I hardly noticed that Tia Dora slipped an envelope in my pocket. I waved goodbye and after they left, I reached in my pocket and opened the envelope. There was $700 cash in it! I didn’t have to think before I answered. It was a great way to start my spring slide show series. In the next month, I’ll be speaking in Whitehorse, Yukon (March 6th), Sitka, Alaska (March 30th), and then fly to Washington State. I’ll give a show in Anacortes, Washington (April 6th) and Bellingham, Washington (April 11th) before we drive up the Alcan Highway back to Haines. The 2,000 mile drive is always a great adventure- lots of wildlife, miles and miles of open country, some great hot springs, giant mountains……I’ve driven the road 16 times through the years and I never tire of it. We’ll be driving our family’s 23-foot RV. Driving big rigs did not come naturally to me. As a matter of fact, my first experience driving a big vehicle was a complete disaster. I was nearing college graduation spring quarter, 1983, at Western Washington University when a recruiter for jobs in Alaska showed up on campus. The job was for a bus driver tour guide in Alaska. I made an appointment through the Career Planning and Placement Center, put on my best pants, a clean shirt and vest and walked into the little room with a big desk. A slick, corporate-looking guy with a suit and tie was sitting behind the desk. He got right to business. “Why should I hire you?” he asked. I couldn’t believe it! I told anyone and everyone I saw the next week on Campus. I went to the parking lot at the appointed time and met Cliff. He had darker skin, a well-groomed mustache and a pleasant, non-threatening manner. He made me feel at home. “Have you ever driven a bus before?” he asked. This was a completely new world to me. I wasn’t one of those kids who grew up spending weekends with their dad under the hood of a car. My dad was from upper class Guatemalan society. My grandfather had been Supreme Court Justice of Guatemala during the Ubico regime. My grandparents wanted the best education possible for their children and sent my father to the University of Michigan to study engineering. My father had planned to return to Guatemala after graduation but got stopped in his tracks when he met a full- blooded Italian beauty from Deaborn, Michigan named Rosa Romanelli. They fell in love and she told him she would never live in Guatemala. She insisted that they stay in the States. So my Dad found a job as an engineer and ended up working at the Hanford Nuclear Plant in Richland, Washington. Our family cars were maintained at the Ford dealership. My father golfed on weekends. I scratched my head and tried to make sense of the various pipes and tubes and connections under the hood of this gigantic bus. I had no idea what I was looking at. Cliff went through the whole inspection. He said I had to look for oil leaks, loose belts, uneven tire wear, broken turn signals, corroded exhaust pipes; the list seemed endless. I was a bit confused but I was able to force a smile on my face. I was looking forward to driving tourists around Alaska; I hadn’t realized that I had to become a bit of a mechanic to do it. I shook his hand, said goodbye and thought to myself….Now that’s more like it…. next week I get to drive the bus! So I took the study book back to the house where I was living, went back to my university classes the next week and pretty much forgot about the whole thing until Friday. Friday evening came and I realized that I hadn’t studied at all. I stayed up late and went though the book and the inspection list and tried to remember all the details Cliff had showed me. I woke up Saturday morning, looked at my watch and realized that I had to be at the parking lot in 25 minutes! And it was a 10 minute drive! I threw on some clothes, splashed ice-cold water on my face, skipped the shave and jumped in my beat-up, orange, 1973 Toyota Corolla with 160,000 miles on it. I raced to the parking lot and jumped out at 8am exactly. I could feel some beads of sweat forming on my forehead. Cliff had been so friendly at our first meeting. And I was the first guy into the training program-didn’t he know that?! I faked my way through the inspection, but I really didn’t have command of the task before me. I tasted a bead of sweat that had dripped from my forehead down my cheek. “OK time to get in the bus. I want you to start it up, pull out onto the street and turn left. As you pull out of the parking lot and make the turn, be sure to look out for that big sign that says “Fielding Street.” One of the trainees yesterday nearly hit that sign,” Cliff said matter-of-factly. Just then I heard a loud “BANG!” at the rear of the bus, and I felt the bus shake a little bit. “What was that?” I called out. We walked around to the back of the bus I noticed a slight dent up high on the rear driver’s side. We then turned and looked at the Fielding Street sign. The top left corner of the sign was bent backwards. “What do we do now, Cliff?” I managed to squeak out. He shook my hand and I turned around, got back in my orange Toyota Corolla with 160,000 miles on it and drove back home. I was devastated. I kept repeating in my head- First guy in the training program. First guy out.